It has been long-awaited, and I’ve finally shared the second set of 9 blocks for the sequel of the Cricut Maker Block of the Week! 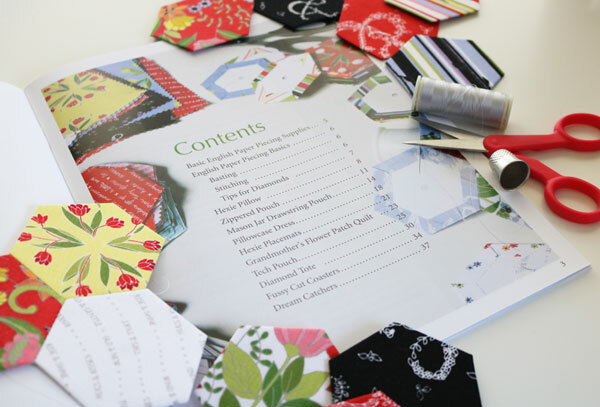 If you’re not familiar with the series, the Cricut Maker Block of the Week is a 14-week long series I developed to teach people new to quilting, new to Cricut, or new to both Cricut and Quilting, how to make a mini quilt using their Cricut Maker. The results were amazing! 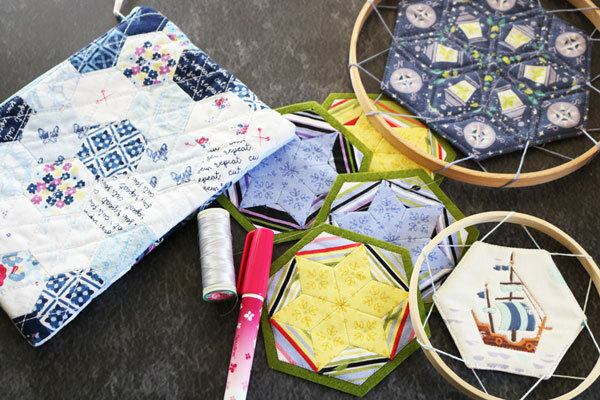 I loved seeing all the fabulous quilts that everyone made using these tutorials. And some people asked if I could make even more blocks. And so I did! 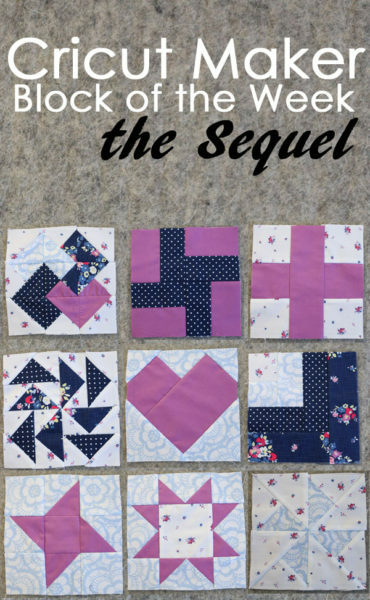 I created 9 more quilt blocks, filmed all the videos for them, and then had technical issues that delayed the launch of the series. Finally, I sat down for two days and went through all the tech issues. I re-stitched each block to make sure that everything was correct. 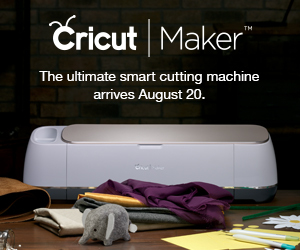 And then I launched the Cricut Maker Block of the Week: The Sequel. Here are all the videos for you to enjoy! Each of these 9 blocks works with the original 9. 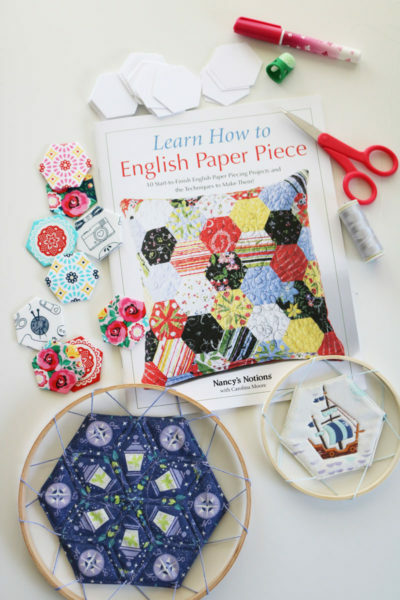 So, you can use the same tutorials on sashing, borders, quilting, and binding to go along with these if you like. 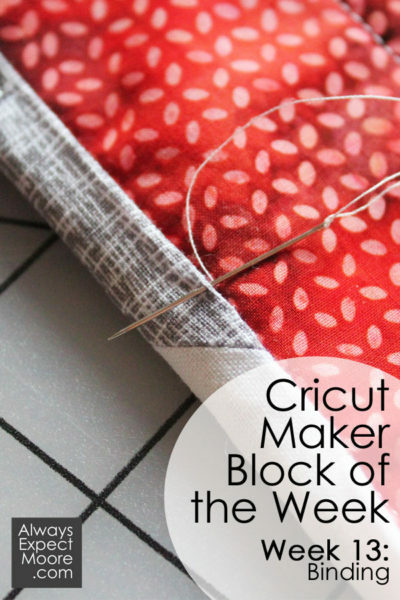 Go to the original Cricut Maker Block of the Week to get all the details on sashing, borders, quilting, and binding! Today I’m sharing with you the very last step in the Cricut Maker Block of the Week: How to add the binding. While I do machine-stitch on my bindings on occasion, I was taught the “right” way to bind a quilt is to hand bind it. If you’ve followed along on this whole series, you know that I temper convention with practicality in my quilting. I have deep respect for our quilting traditions… but at the same time I believe that modern technology exists to make things easier. But there are times when I bow to tradition just because it is tradition. Binding is one of those instances. If a quilt’s destiny is to hang out around the house, lay on floors, go through the wash many times, and generally be a utility quilt, then I absolutely machine bind it. Machine binding is more secure. It holds the binding in place very well. It is slightly less attractive because the stitching is visible on both sides of the quilt – but I give up that minor bit of beauty for the practicality of being finished quickly, and having a very strong binding. For a “show quilt,” (a quilt that is going to hang at a quilt show), I always hand bind. A show quilt is my best work. It is me showing off my skills. I don’t want the stitching that secures the binding in place to be visible at all. Show quilts are meant to honor quilting traditions (even when pushing boundaries with color or composition). I show my deference for all the quilters who came before me with a well-bound quilt. 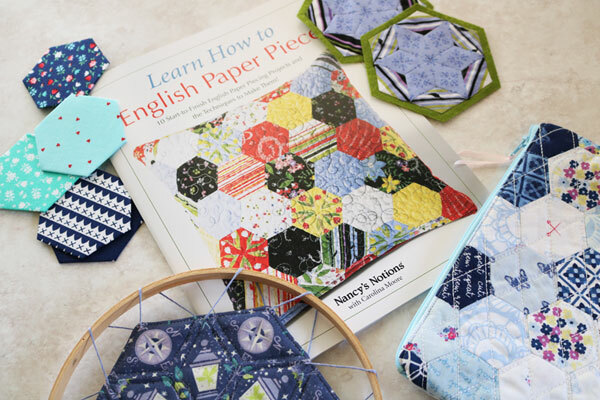 So today I’m showing you how to hand-bind your quilt. The binding is put on by machine, but the final stitching is done by hand. 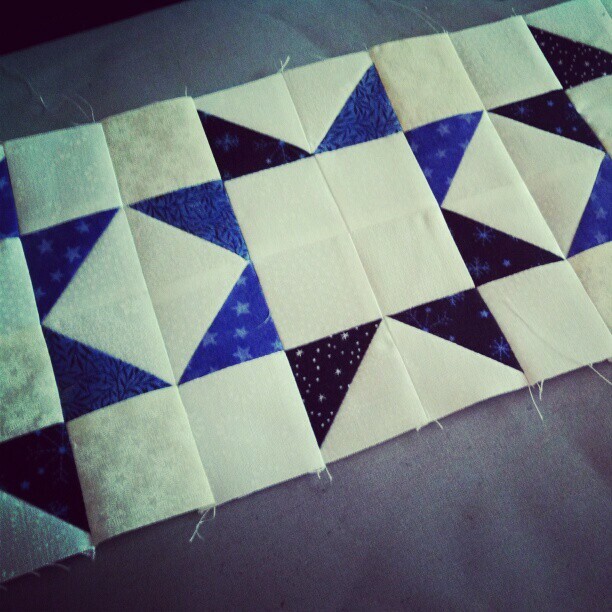 While it isn’t always my favorite part of the quilting process, I absolutely love the look. 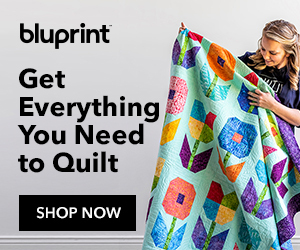 Here is the step-by-step of getting the binding on your quilt! 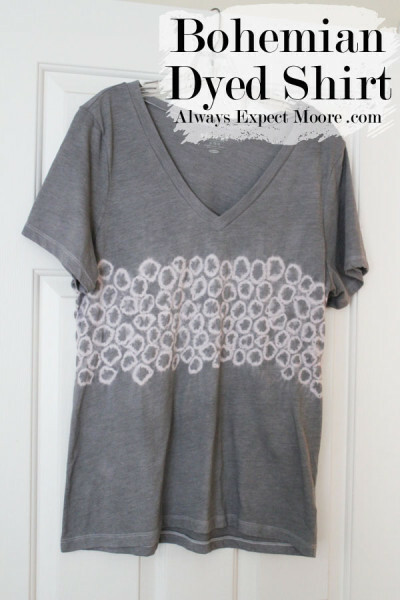 I absolutely love this shirt… and you’d never believe how easy it was to make! Adding all the tiny little circles was time consuming (if you plan to make one, grab your favorite movie and plan to spend 2-3 hours with a package of about 150 rubber bands), but so worth it! I started off with a great-fitting, comfy shirt… and ended up with a great-fitting, comfy and stylish shirt (winning)! 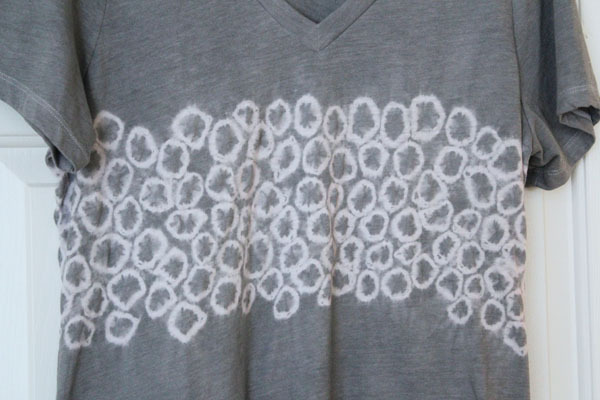 I dyed it using Pearl Gray dye, which is one of my favorite colors right now. And you don’t need to be some fancy dye-master to get this look. Just time, rubber bands, and a good movie. Check out the details on how I put it all together over on Rit Studio. Do you set goals at the beginning of the year? Studies how that if you write your goals down, you’re more likely to achieve them. 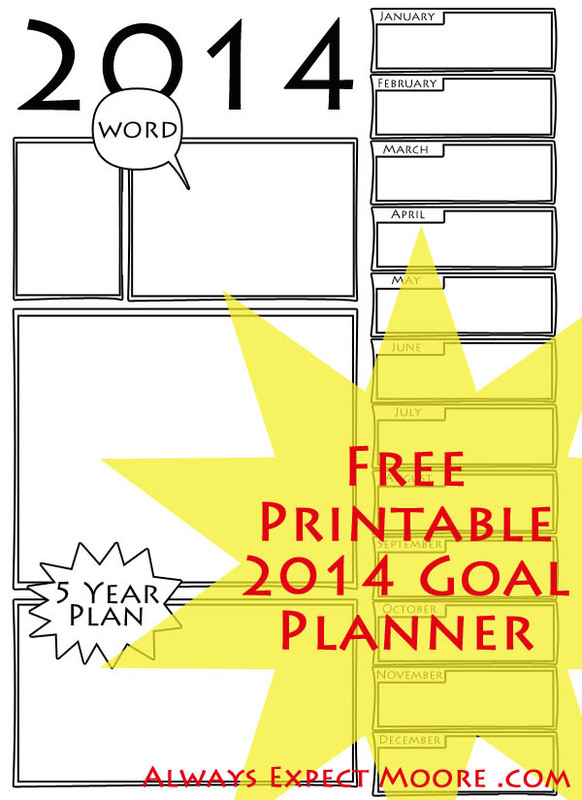 With that thought in mind, I created this free printable 2014 Goal Planner and Resolution Tracker as my kick-off post for this week-long organizing series. I’m teaming up with Angie from The Country Chic Cottage and Gina from The Shabby Creek Cottage to share with you organizing tips. Each of us will share a new tip each day, and I thought I’d start out with big ambitions – by organizing the whole year! I’ve created two versions of the Goal Planner and Resolution Tracker, one more planned out, and one wide open. 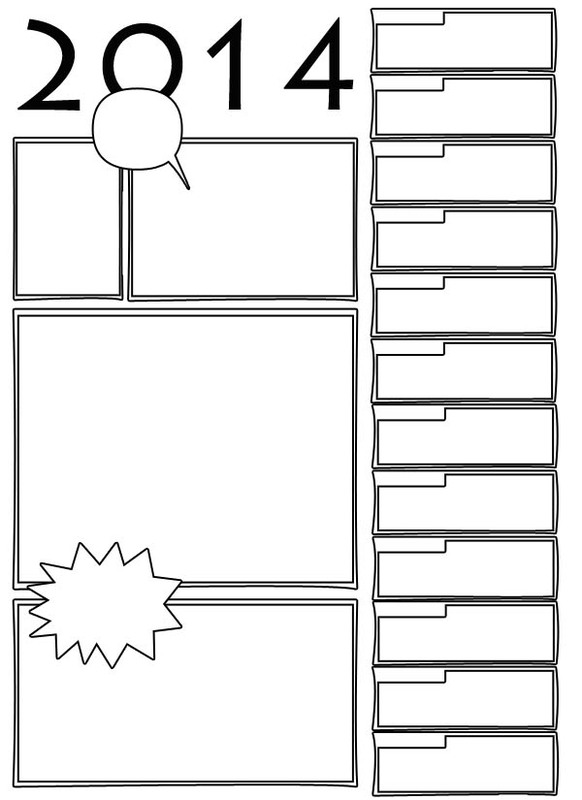 For the more planned out version of the Goal Planner and Resolution Tracker, there are two boxes at the top. These are for your word of the year and quote of the year. The large box underneath is for listing goals. The bottom box is to lay out more long-term goals. 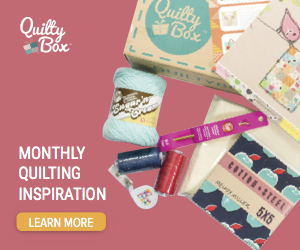 The monthly boxes on the right can be used in a couple different ways. You can lay out monthly goals, or mini goals to help you achieve your larger goals. You can leave them blank for now and use them to track your progress towards your annual goals… up to you. This is just a tool for you to use as you plan and organize your ambitions for the year. In whatever way makes sense for you. 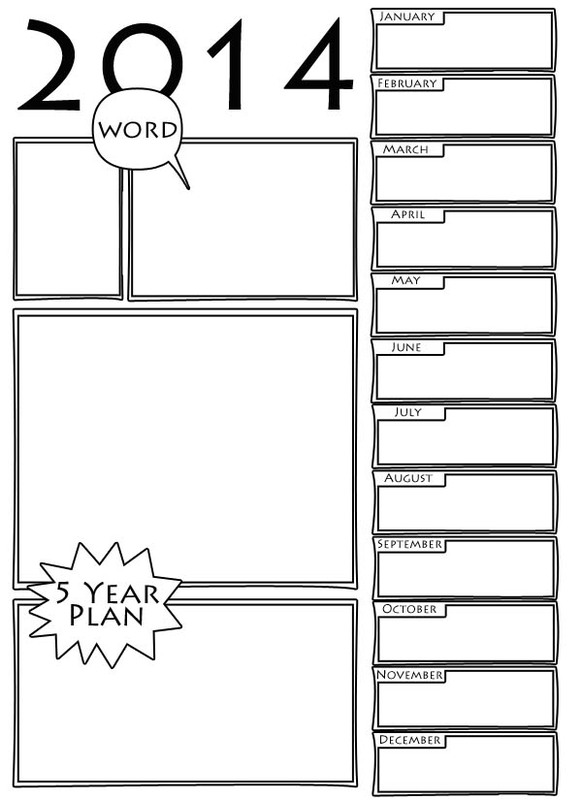 And, if you’re a more free-form person who wants to use the sheet in a different way, I have a plain version of the Goal Planner and Resolution Tracker for you. Use the mini boxes down the right for individual goals, or to measure progress in your own way large boxes in whatever way makes sense for you as you plan out your year! I’ll be back tomorrow and every day this week with more organizing tips. Make sure to check out what Angie and Gina are sharing today as well… they’ll have tips throughout the week as well, as we help you start off your 2014 more organized and with a plan in place! 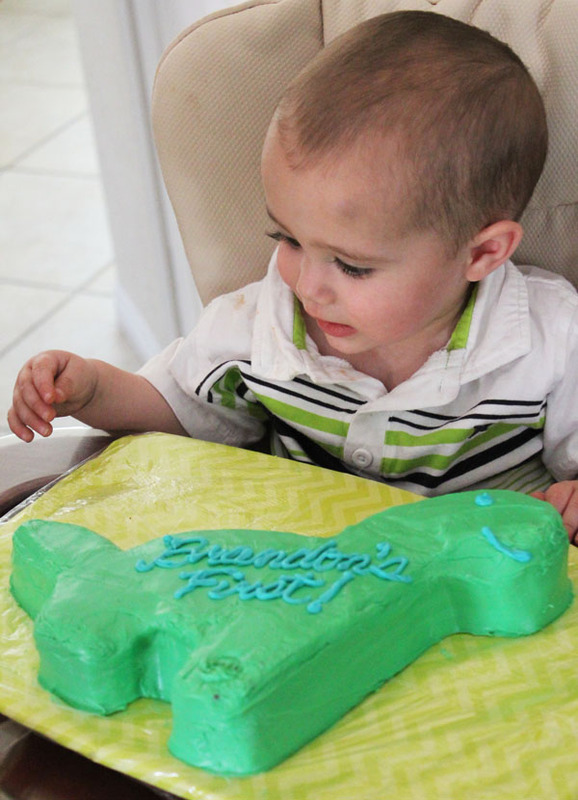 Warning: I don’t often get personal on this blog, but I’m about to get very, very personal. People say that the internet has brought us closer. That the world is a smaller place. That because of the internet, people no longer feel alone. People are liars. The internet has stolen my friends. I have friends – the internet says so. I have half a dozen social media pages that tell me how many followers I have, how many friends, likes, shares, plusses… how many people I have in my circles. According to the internet, there are thousands of people who cared enough to press a button and make a connection. But there isn’t anyone to sit with me at my crumb-covered breakfast table to have coffee after sending the kids off to school? I have some very close internet friendships. Crafters that I’ve met online, and later in person. Old friendships that have been maintained through wi-fi. These cyber pals have heard me pour my heart out through my keyboard as I worried about my pregnancies, my kids, moving, jobs, life… and all of them live more than an hour’s drive away. Too far for them to come over to give me a hug, or look me in the eye to see if I’m really doing okay. Too far for them to give me a high five …and too far for me to hold their hand when they go through loss. Too far for me to bring them a casserole or fold their towels. Too far for me to hold the baby while they take the first shower in over three days. Too far. The internet has made me lazy. I’m able to make very simple connections with people too far away to touch. My friends are only a keyboard away, but we’re a world apart. If I want to celebrate a victory, I can post it online, I can text, I can message, I can even call… but not a single one would be able to split the calories in a victory cupcake without adding the cost of postage. On my birthday I’ll get dozens of messages on my Facebook wall, as my social media profile reminds people it is my special day. But not a single one of those people will get a slice of birthday cake (though they may see an Instagrammed picture of my slice). The internet has allowed me to be fake. It doesn’t matter how my day is going, I can still share a picture of my smiling kids, a flower in the yard, or what I’m having for breakfast. I can invite the world into my home without having to mop the floors, fold the laundry, or unpack the suitcases from our last trip. I can selectively share the perfect things, without exposing my internet friends to the baggage. 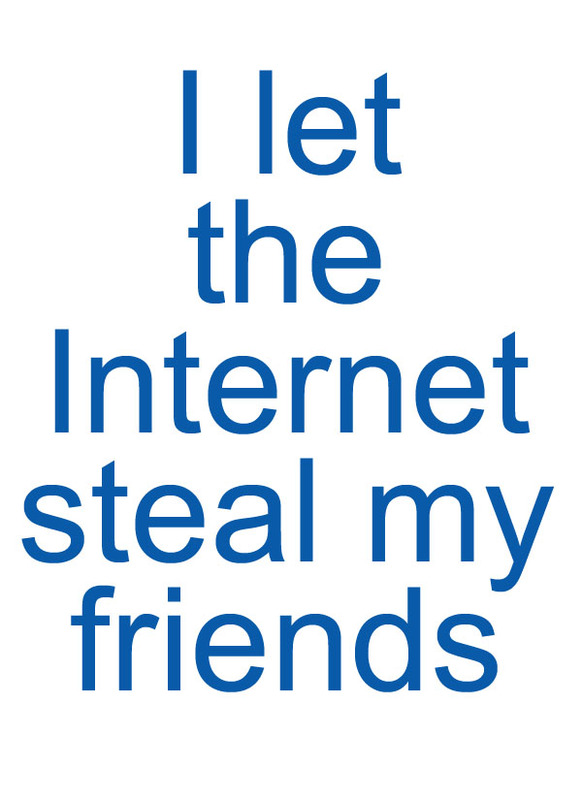 The internet has stolen my friends, and I have let it. It is up to me to fix it. It is my responsibility to step away from the keyboard, to forge real relationships with people who are able to walk by my side. This doesn’t mean I’m breaking up with the internet, or the people in it. It is a wake-up call for me – time to find a better balance in the real world. What about you – have you reached out and touched anyone lately? Q might be for all the Quilting I’ve been working on. I’d love to say “getting done” but much of it is in varying stages of “progress”. This past week I shared a fun project I did with Little Moore – a maze that can be re-made in an infinite number of ways. He’s been loving it. 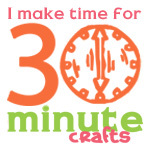 On 30 Minute Crafts this week, I’ve been sharing some fun projects. I whipped up a fun necklace, with lots of great color. I called it the Gumdrop Bead Necklace. I also put together a roundup of fast crafts that can be made with paperclips. LM graduated from Preschool this week. It was a huge milestone. His very first graduation. I made a boutonniere for him. Unfortunately, one of the other moms brought balloons for her son. My little guy ended up with the second-rate graduation token. Although, he did ask to wear the boutonniere a second day… so I’m going to call that a win. This week coming up will be fun. On Tuesday, I finally get to share with y’all THREE awesome quilts that I’ve been working on. YAY! On Thursday, I’ll be taking my oldest to the press screening of the new Monsters U movie. I whipped up some fun shirts for us to wear. I’m sure I’ll be posting it on Instagram, and I’ll have a tutorial for you on 30 Minute Crafts the following week. If you experience some site outages this week, that’s just me working away on the back-end over here. I’ve got some improvements planned… wish me luck! When Young House Love posted their latest Pinterest Challenge, I knew exactly what I needed to do. 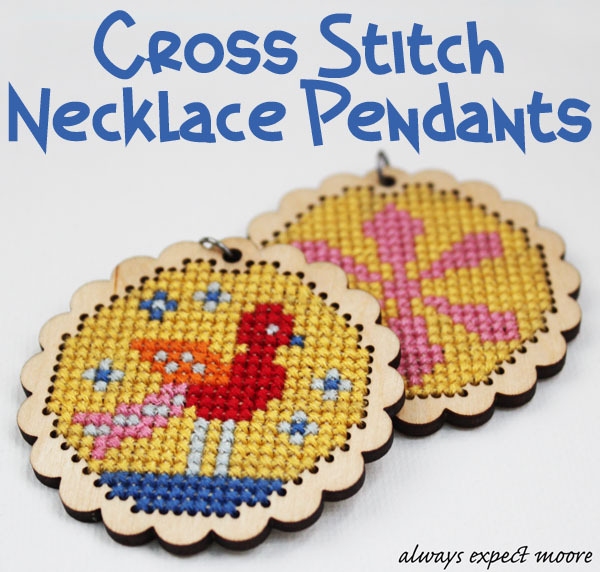 I saw these awesome cross-stitch pendants last month, and was thrilled. 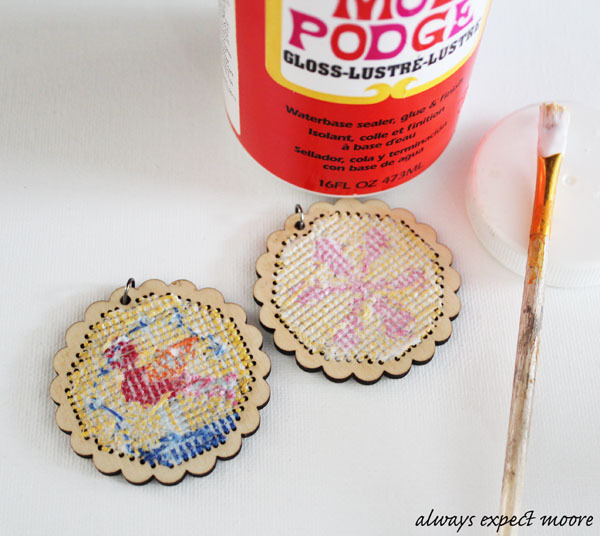 I love unusual craft supplies… and cross stitching onto wood? Yeah… pretty unusual. I bought two of the scalloped edged pendants (they were the only ones left in the shop at the time… I’m sure I’ll purchase more in the future), knowing I was going to stitch one up as a roommate gift for my awesome SNAP roomie, Carissa from Creative Green Living. I ordered them super close to the conference date… and since they ship from Canada, they did not get here in time. That’s where this Pinterest Challenge comes in. The pendants have been sitting in a stack for a couple weeks… yet another “to do” project with no particular deadline. Which generally means that they’ll be waiting around for a while. So I decided to attack these… which is exactly what this Pinterest Challenge is about. 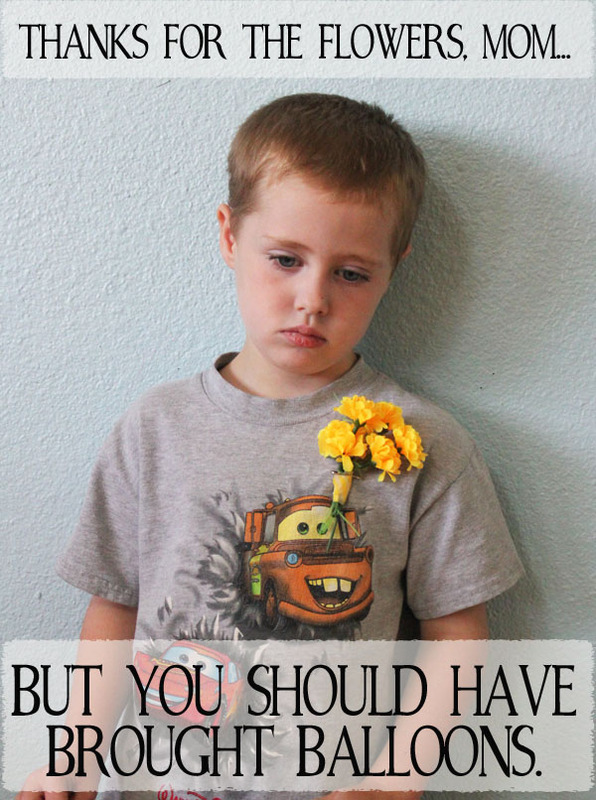 Taking projects that you really want to do, and pushing you to actually do them. The bird pendant is pretty much the same as the original pendant on the Thompson Family Blog. For the second pendant, I created the pattern myself – it is the SNAP logo. The bird will be going to my roomie – and the second will be going to someone who, while at SNAP, really helped me out. I’m hoping she likes it! If you want to make one of these pendants, the wooden blanks are laser cut by The Workroom. 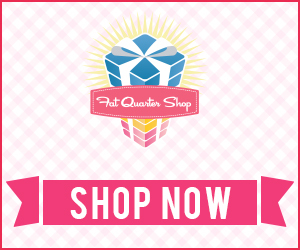 Currently, she’s sold out, so you might want to try The Geek Room on Etsy. The blanks are laser cut, which burns the wood. Burnt wood can darken the thread, so dark threads are better to use here. Also, using shorter threads will prevent the ends from darkening by getting pulled through the holes so many times. Be careful while you stitch. The wood has much less give than fabric, and stitching through previous stitches leaves ugly bumps. Try not to snag previous stitches. After stitching, I sealed the backs with two layers of Mod Podge. This helps secure the threads so that the necklace really lasts. It was a crazy, crazy week. So crazy that I’m writing my Saturday wrapup post… on Monday night. Yup, crazypants. After getting back from the awesome SNAP conference last week (at which I wore my new Duck Tape Chain Necklace), whipping up some yummy brown cow cookies for a Smart & Final Taste Test, and sharing my new headshot photo, I spent some time in the yard with the kiddo, and checking up on how our plants are growing. I also shared with you the details of the diaper party I threw the previous week (you may have seen it in my Instagram feed), and how you can re-create the diaper wreath I made. 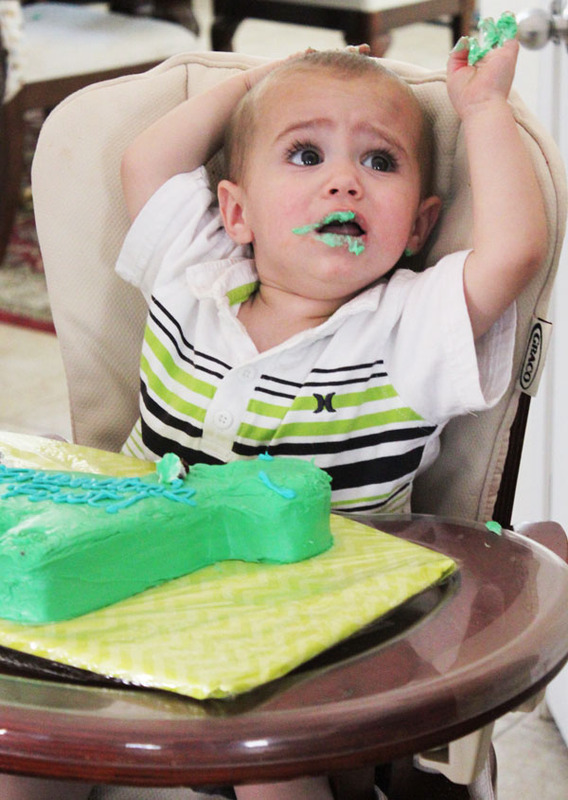 And then I worked on my son’s first birthday party. While also working on some Crafty Hangouts. 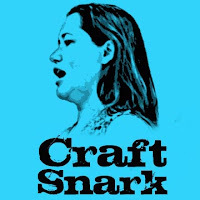 I hung out with my friend Angie at the Country Chic Cottage online, and we did live crafting on video. You can check out the recordings where I painted some glassware as well as painted a watering can for Mother’s Day with awesome Glass Paint Pens and Patio Paints from DecoArt. Over a month ago, we started working on our yard. 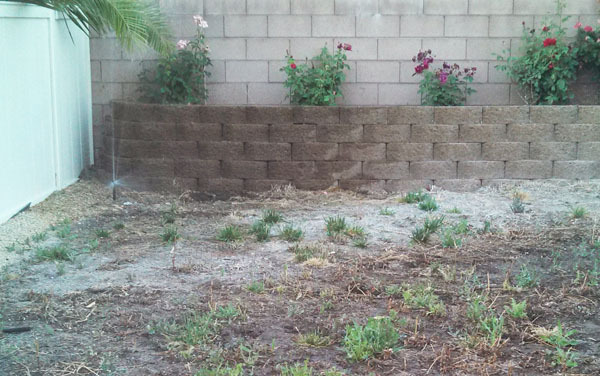 I spent an entire day clearing out the side yard and fixing the planter bed. It was a lot of work, but worth it. 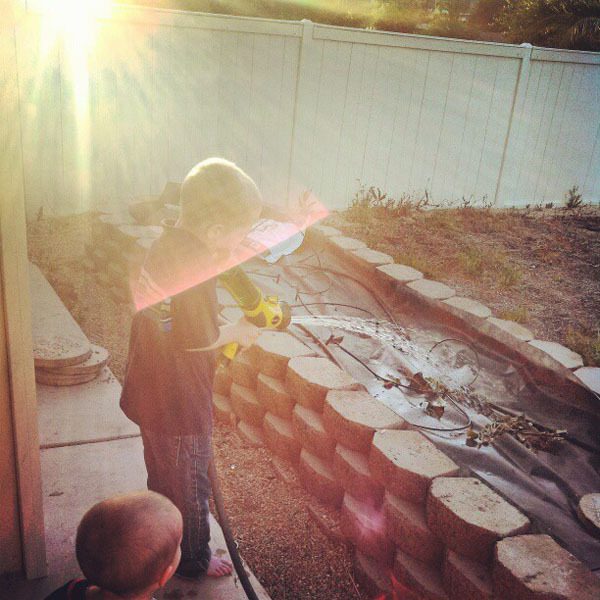 Over the last week and a half, I’ve taken on other yard projects, and enlisted my son to help. We started with a trip to the Home Depot. Then we cleared out the lawn area to prepare for a new lawn, and we planted seeds and potted plants in the planter bed. We can already see growth. 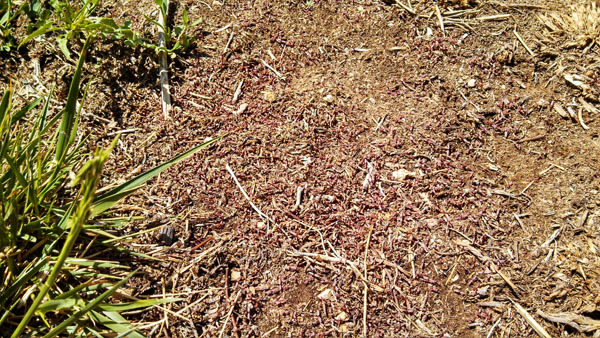 Our grass is starting to come in as a carpet of seedlings. We already have an automatic sprinkler system in place, but an automatic sprinkler system doesn’t mean an automatic yard (although I wish it did). A yard, we’ve discovered, is a living thing that needs TLC. It needs to be watered, but also cared for. It needs to be loved! It has been fun to see the progress in the yard over these last few weeks. Seeds that Little Moore and I planted are starting to sprout. He is even more excited than I am to see them grow. Here they are two days ago, just starting to come up. The plants are getting bigger. Soon we’ll have to thin them out, and talk about why thinning the plants is important… which may lead to a lesson on thinning our toys out as well! Soon we’ll have zucchini, squash, pumpkin, and hopefully watermellon plants, as well as strawberry, bell pepper, and tomato plants growing in the yard. We’ll talk about why bugs are important (boys and bugs are a natural fit), and which bugs are the “good bugs”. 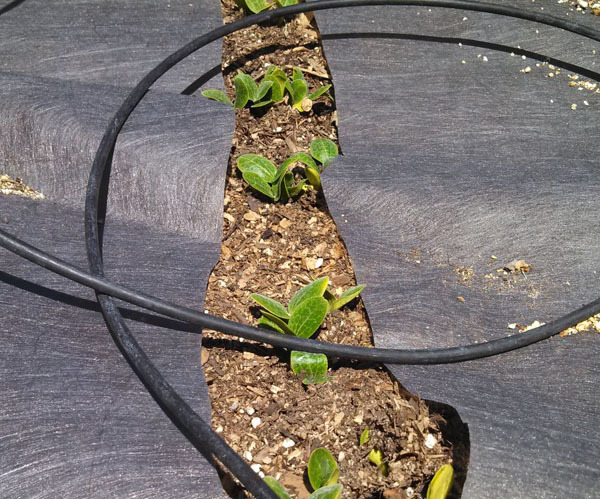 Throughout the summer and fall, I hope we’ll be able to harvest some of our vegetables, and enjoy them in the kitchen. Kids are always more likely to try new things if they’ve helped make them themselves – and growing veggies in the garden absolutely counts! Before then, there will still be a lot of yard maintenance. The weeds will keep coming back.We’ll have to mow the lawn. In the next few days we need to head back to Home Depot to fix the sprinkler that has gotten another stone in it (replacing one sprinkler head after four years isn’t so bad), and look at the best way to give the roses a very late pruning (or a very early pruning, depending on how you look at it). 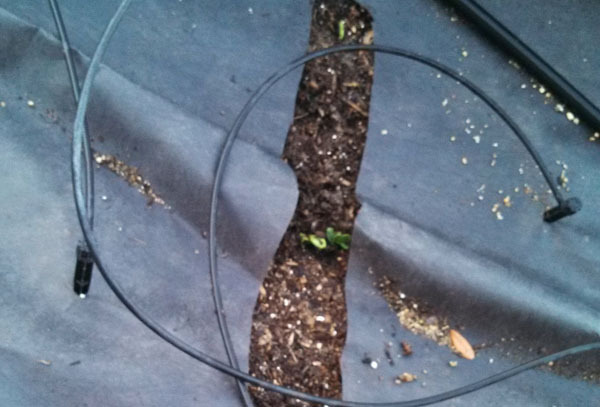 We might check out the Garden Club Community Forum for tips there. Maintaining the yard is a constant process, but one that is simple compared to the big tasks we’ve undertaken. Buying new tools that will last us for several seasons. Clearing out all the weeds and debris. Re-building the planter wall. Getting new plants in the ground. We’ve done a lot, and it really shows… just in time for my inlaws to arrive today! I hope that my journey has inspired you to make some progress in your own yards – regardless of the size. Getting dirty, wet, sweaty, and sore is so worth it! And if you have any questions along the way, know that the friendly folks at The Home Depot are available to help out! Get over $300 in email exclusive savings each year, sneak peeks on new products, monthly lawn & garden ideas for your region and access to The Home Depot’s gardening experts. Click here to join the world’s largest garden community today! Or go to The Home Depot Garden Club to see some of the many benefits of membership.